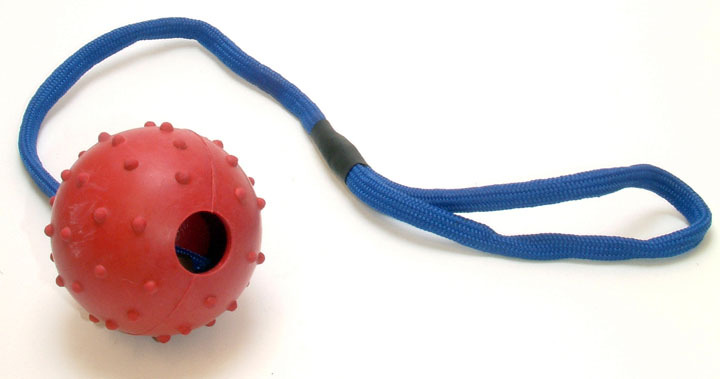 Soft but strong, studded yet comfortable, the Rubber Ball on Rope from Good Boy is perfect for your dog. The rope allows you to throw further than ever! Giving your dog the exercise he needs. This fantastic value product also doubles as a tug toy for fun, interactive play with your dog. The durable, studded ball gives a great 'mouth feel,' and offers quality stimulation for when you are too tired to tug the other end. Supplied in randomly allocated colours. There are currently no questions for Good Boy Rubber Ball on Rope Dog Toy - be the first to ask one!